I got to see many of these quilts today. No photos were allowed, but I bought the book in a heartbeat! These quilts make me happy! Table Cozee by Clothesline Quilts using Evonne Cook's lovely reproduction fabric Christmas Remembered. Keeping this short and sweet. Have a great week! It's Pre-Houston week and I'm trying to get things caught up before leaving town. If you are new here I volunteer to work at the education office at the International Quilt Festival in Houston. Thee are hundreds of classes and it takes a small army (okay about 20ish) to keep things rolling! Anyway, I haven't gotten back to my sewing room since early this week. Mail has been coming for my trip to Colombia. Thank you Ruth, Lona and Diana!! Sweet little dollies and there was more!! Not handmade, but on a serious clearance! Thank you!! Thank you all who have donated! I feel blessed that so many would be willing to help me in this way. I can't wait to show photos with the girls in their dresses!! 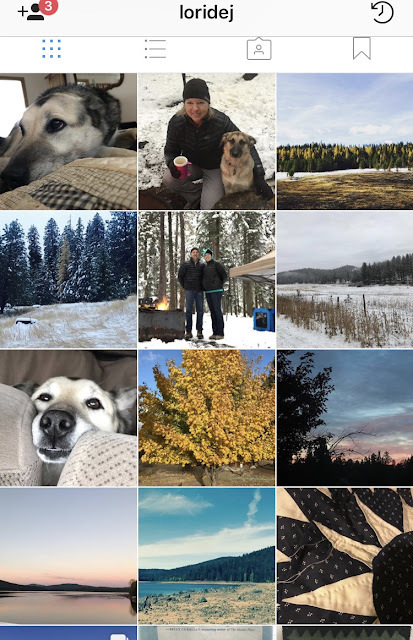 Here's my Instagram feed for the past week. Follow me on Instagram or facebook for Quilt Festival updates!! A blog reader, Janny from the Netherlands, reached out to me last week and asked about the quilt in this photo. I made this block/quilt in a string class with Gwen Marston. As all things Gwen she encouraged us to come up with something unique. 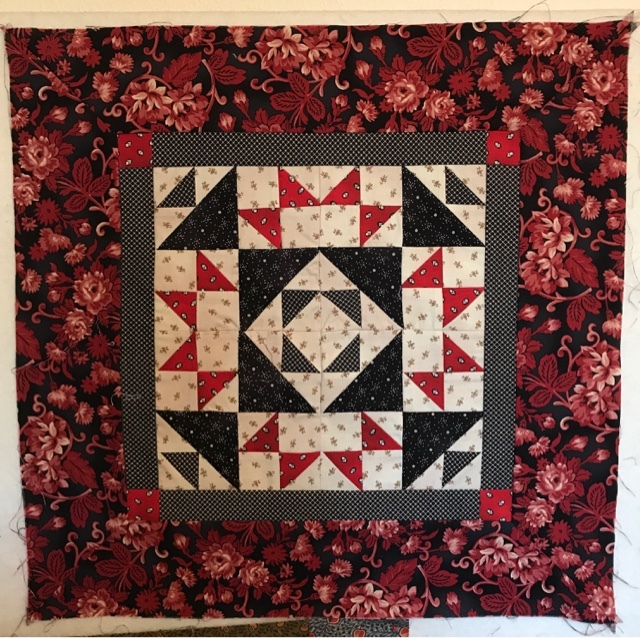 The block is a Rocky Road to Kansas, but I made my own pattern. I sent this to Janny and encouraged her to do the same. I didn't have Electric Quilt when I made my block, but graph paper works just as well. I was thrilled when she sent me a photo of her first block. Sometimes it is good to do your own thing! Here's a little project I'm working on this week, unfortunately I burned it!! Aargh! It was only 1 block, so I'll start over and coffee dye the burned piece to disguise it. The book sale was a resounding success! All the books are in the mail!! Thank you for your support and the extra $ that was donated for my trip. 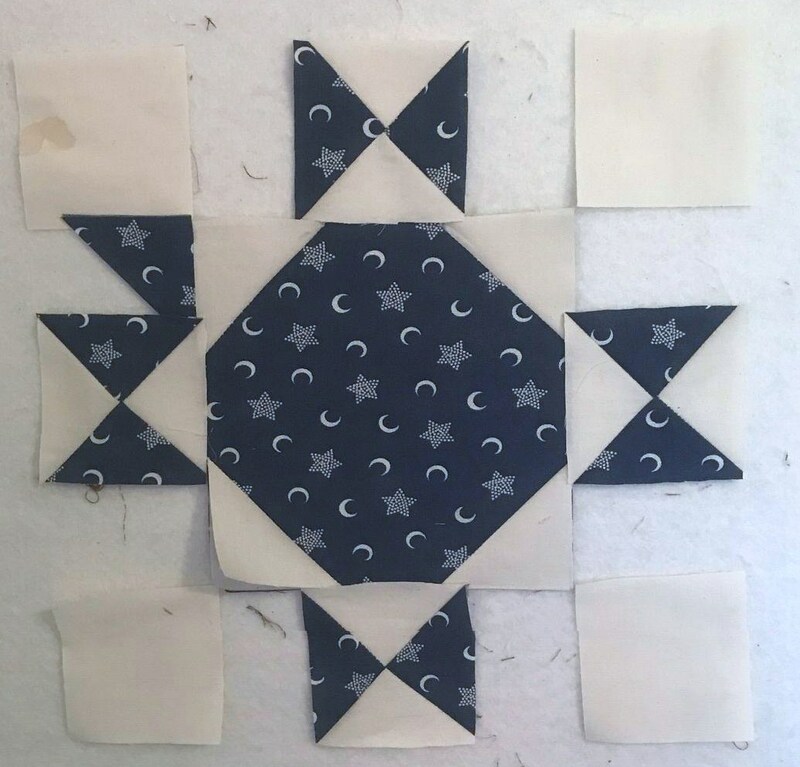 I have several patterns to test for the Rising Sun/Eclipse blocks. The first 2 I made were busts. Nothing lined up very well on this one. So I made this cute little block! 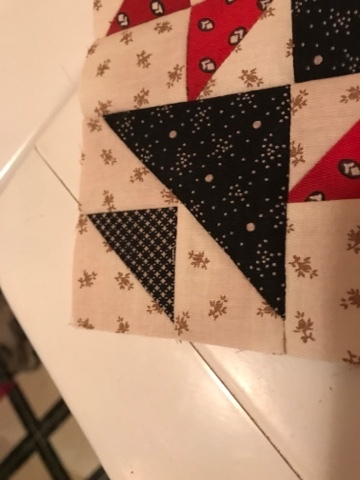 Someone (Lizzy) mentioned making the quilt in my Facebook header. It is a fun one with a great zig zag setting and half blocks! Here is the pattern for a 4" block, which is what I made. It would be a good size for a small size quilt. 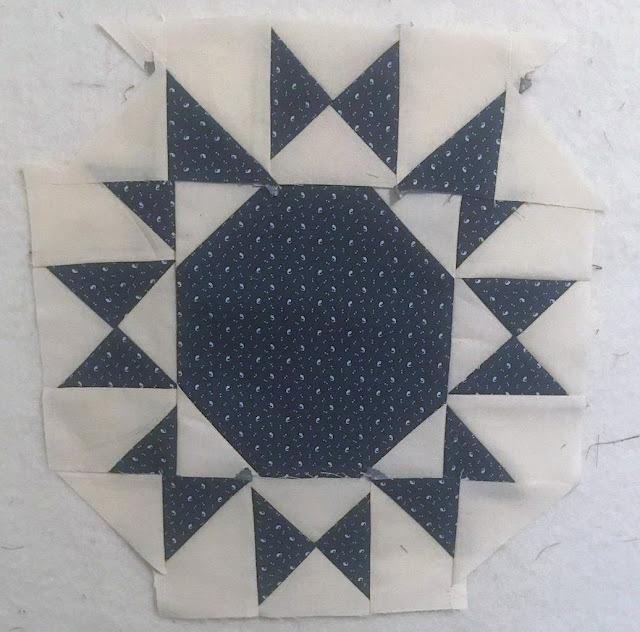 Here is a pattern for a 6" block, which would be better for a larger quilt. 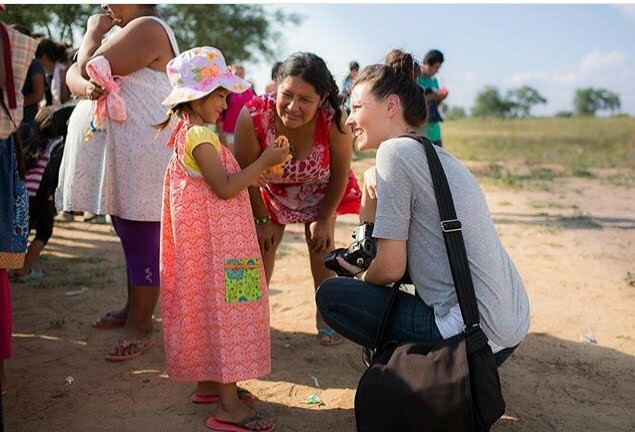 Thank you all so much for supporting my mission trip by purchasing books from me! If you haven't received an email from me, please send me your mailing address (ldej@crestviewcable.com) so I can calculate shipping charges and I'll get you a total. I've been out of town this weekend, so if you haven't heard from me, that is why. I'm spending a bit of time away with hubby before my week in Houston commences. In no particular order.... If you want to know more about a book then I recommend an Amazon search. The price is directly below the book. 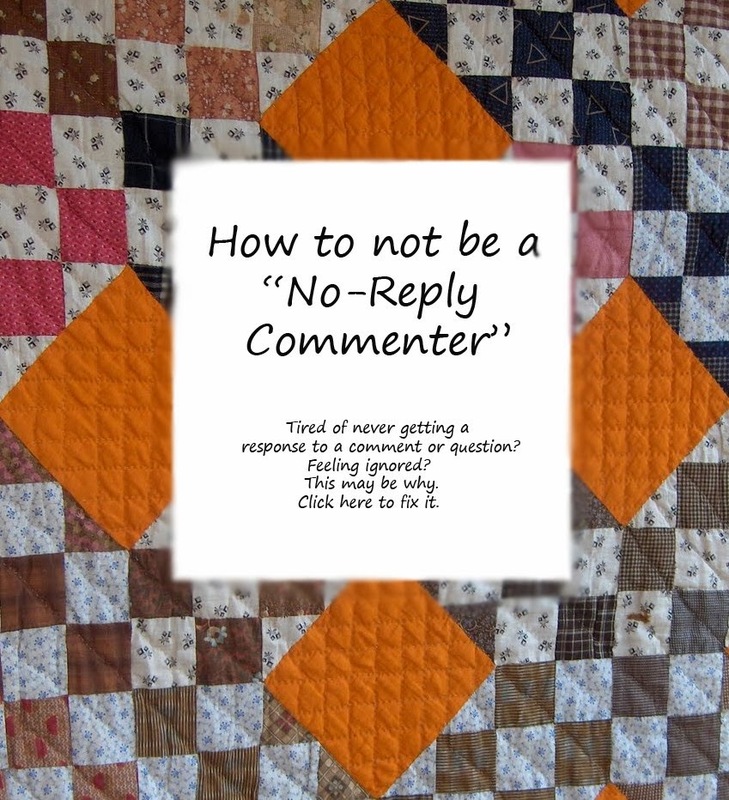 Please comment the name of the book and your email address if you are a no-reply commenter. If I cannot contact you, I cannot sell you the book. Some of my books do not have patterns- just photos. So if the book has patterns I'll write that it is a pattern book. 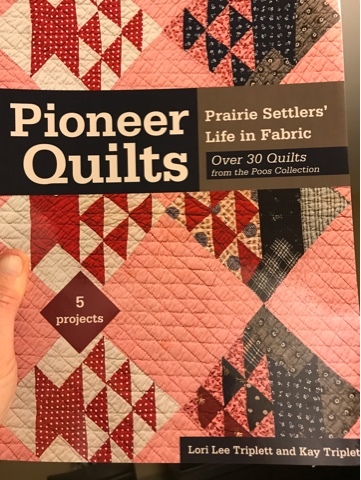 $1.00 Great little book full of super quilting tips! This book and the 2 below it are oldies by Cheri Payne. I used all 3 of these books extensively and have exhausted all the patterns- I think I made all of them! 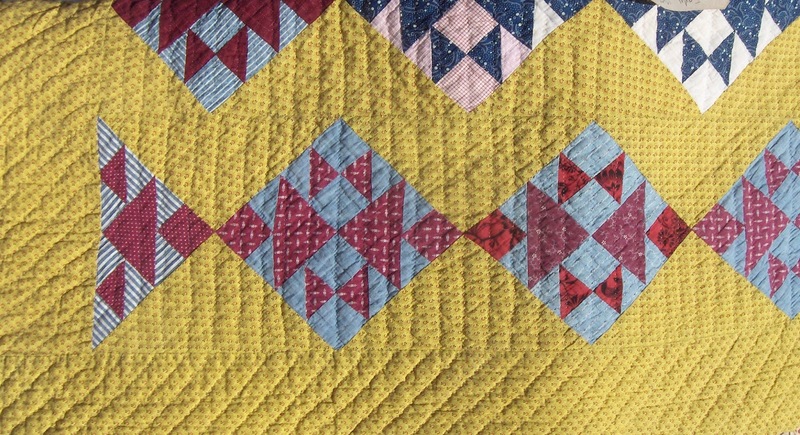 Aurora Quilt Show- Crazy Quilts!